Atlas is a fully featured, high performance, 100% customizable UI kit, built by Layer to power communications interfaces in any app. If you want to learn how to integrate chat in your iOS app, take a look at Implementing Chat/Messaging in iOS apps with Layer. By default, Atlas doesn't open full resolution images when a message with an image is clicked. This tutorial explains how to configure Atlas to show the full image when on message click. Atlas provides a conversationViewController:didSelectMessage method which the class implementing ATLConversationViewControllerDelegate can implement to perform actions when a message is clicked. We will check whether the message contains an image and present an image view controller if it does. In order to show the image, we first need to load the image from Layer. 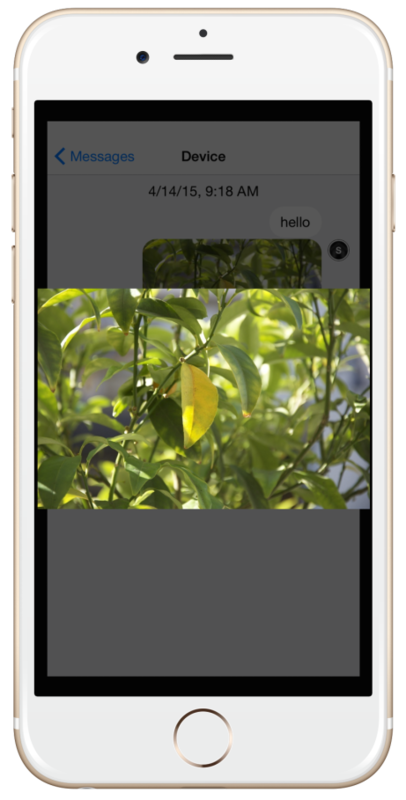 Create a method loadLowResImageForMessage: that loads the low resolution image for a message. To present the image in a new view controller, we will use the JTSImageViewController library to simplify our work. Include the following in your Podfile and do pod install. If you are using some other library, modify the following method accordingly. However, this just loads the low resolution image in the view controller. Let's initialize the view controller with the low res image and load the high resolution image in the background and replace it when it's available. Create a subclass of JTSImageViewController named PGConversationImageViewController and use that in the above method instead of JTSImageViewController. // delegate callbacks from a background thread. // After transfer completes, remove self for delegation. Need help setting this up or just want to chat? Shoot me an email at [email protected].